can revitalize the body and mind. Drinking lemon water helps digestion. Drinking warm water first thing in the morning with ½ a lemon, can help flush out the digestion system and rehydrate the body. During the night, your body has been in rest mode and most likely, you haven’t had anything to eat or drink for several hours. Lemon water is a great way to wake up your body and mind. A natural liver aid. The liver is especially active during sleep! Your body restores and regenerates while you sleep and the liver is hard at work processing and flushing out toxins. Drinking lemon water first thing in the morning, helps wake up your liver and stimulate proper stomach acid production and bile production to aid in digestion. An immunity boost. Lemons are a good source of vitamin C, magnesium, and potassium. Drinking lemon water first thing in the morning, allows the body to effectively absorb these nutrients, giving you an immunity boost to start off your day. Healthier skin. Since lemon water aids the liver in flushing out toxins and improving digestion, this helps with a clearer complexion. Vitamin C is needed in the production of collagen resulting in a healthier, smoother skin. Additionally, the antioxidants found in vitamin C helps first off damage caused by free radicals keeping your skin looking fresh. Maintain healthy weight. 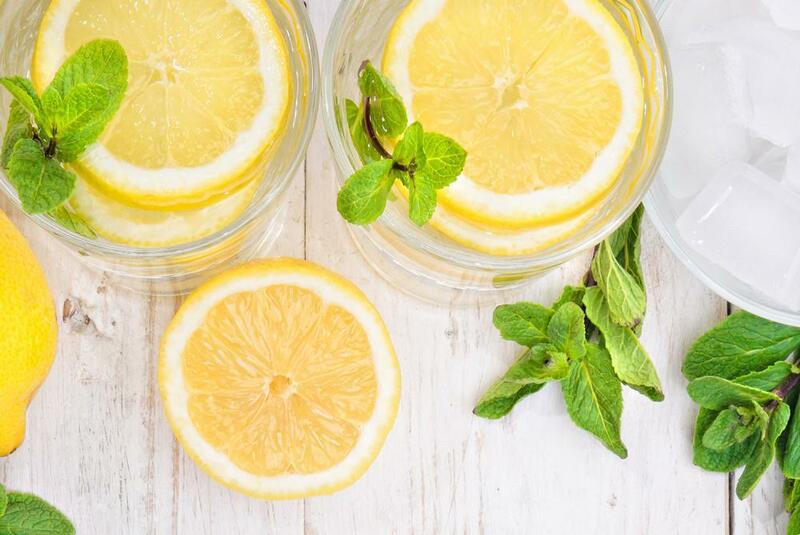 While drinking lemon water upon waking will not help you maintain or lose weight all on its own, research has shown that with other healthy habits, it can help increase metabolism and maintain healthy weight. Lemons contain pectin, a type of fiber found in fruits that can help you feel fuller longer.